Hamilton has hit the headlines, but is this a bad thing? Not everyone is a fan of Formula One. Its loudest critics say that there isn’t enough overtaking. The sport has tried to address that this season, but the driver that’s trying to do the most overtaking is himself now being criticized for being too dangerous. In the last few races, Lewis Hamilton has been in and out of the stewards office more times than a hyperchondriac pops into the doctors. He’s had to explain how he tangled with Felipe Massa and Pastor Maldonado in Monaco and then three more drivers, including teammate Jenson Button, in Montreal. The 2008 champion has tried to make light of it, joking that the stewards have given him a loyalty card and his own chair, but not everyone is amused. Some, like the three-time champion Niki Lauda, think his aggressive style could ultimately prove fatal. 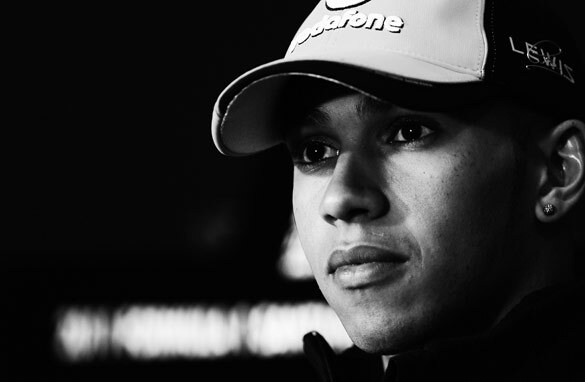 Hamilton is following in the tracks of his idol, Ayrton Senna. The Brazillian driver was uncompromising in his pursuit of three world titles to the point that many of his contemporaries maintain he would force rival drivers to make a stark choice when racing against him: move over or crash. Senna was famously challenged on his driving style by Jackie Stewart, his response illustrates how Hamilton must now feel. “Being a racing driver means you are racing with other people. And if you no longer go for a gap that exists, then you are no longer a racing driver. We are competing to win and the main motivation to all of us is to compete for a victory. It’s not to come 3rd, 4th, 5th or 6th. I race to win,” was Senna's retort. Hamilton’s early F1 years were a dream. He almost won the title at the first attempt, and he clinched the championship in only his second season. But since then, his McLaren has struggled and he’s been totally outpaced by Sebastian Vettel’s Red Bull this year. At times, he has cut a frustrated and angry figure. Vettel’s lead is so big that he could take the next three weeks off and still top the standings. But it’s too early to hand him the title and Hamilton may yet find that things turn in his favor. And for all that Senna was criticised in some quarters, he is remembered by many drivers now as the best there ever was. Hamilton should perhaps pick his moments better, but it’s not in his make-up to change, and nor should he. His priority remains to win, and that is surely the DNA of any F1 champion. The cars are for too complicated now. F1 needs to return to simpler times when the driver controlled the car and not the other way round. As a F1 fan I have to say this article is boring and pointless. Unfortunately I wasted my time reading it, although it is very short at least. CNN needs to take a long hard look at their Sports Dept. There is no credibility or substance. They should seriously consider bringing back CNN/SI reporters and farm out the entire sports operation to SI. I agree with Faster. At least get rid of that automatic rear wing. It doesn't work half the time anyway which gives some drivers an unfair advantage. Lewis is the only racer providing any "entertainment " in the presently extremely boring F1 season. He is the best racer / driver-that is widely acknowledged -all he needs is the best car -and unfortunately,at the moment that is a Red Bull. I say this with 4 decades of watching every F1 race for the last 40 years. No one can beat him weaving his way thru a pack of lesser drivers in front of him -even Frank Williams has admitted that his dream team would be to see Lewis and Vettel together in the same team. HAMILTON IS THE MAN TO MAKE F1 VISIBLE TO THE OUT SIDE WORLD. BEFORE HIM F1 WAS A HIGH SOCIETY SPORT. GO GET IT HAM, JUST WATCH OUT FOR KAMUY HE IS REALLY FAST TO. F1 must be about competion not just to tow a line or just alone to follow some cars in you front, Presently without Halmiton it will be just that, that is why you see many Drivers on F1 with many years experience not winning any single title, To me LEWIS makes F1 interesting now and other drivers are even trying to emulate him. Like every other sports or competitions, there must challenges between competitors, so Halmiton should be praised not condermned.